Did you see anyone acting suspiciously before Fernhurst burglary? 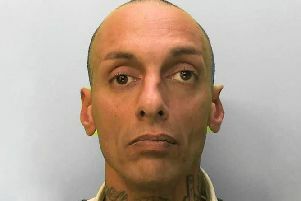 Sussex Police has appealed for help in solving a residential burglary at a property in Fernhurst on Monday (January 21). Police said it received a report of a burglary at a property in Haselmere Road, which is 'believed to have occurred between 3pm and 11pm'. "It is unknown at this stage if anything was stolen," a police spokesman revealed. "If anyone noticed any suspicious behaviour in this area at this time please report it online or call 101 quoting 217 of 22/01."